***Please be aware the Town Offices are having significant phone problems. We are currently finalizing a new contract to have them repaired and updated. You may drop a note in the office door drop box or email us at townoffenner@windstream.net. We apologize for the inconvenience. Recycling Bins are available here at the town office or any Transfer Station in Madison County Office at 6663 Buyea Road, Canastota, New York. Dogs in the Town of Fenner that are more than 4 months old are required to be licensed. Proof of Rabies vaccine must be provided. Vaccinations are free of charge to Madison County Residents at local clinics. Please see the How To and FAQs tab for more details or contact the Clerk's Office at 315-655-2705 if you have any questions. Need a landfill Punch Card? Stop in the town offices and pick one up today. Good at all Madison County locations. 8 PM 2nd Wednesday of the month. 3rd Wednesday of month at 7:30 P.M.
in different rooms of the Town Building. Need an Accessible Parking Permit? Town of Fenner residents may obtain a temporary or a permanent accessible parking permit from the Town Office without charge. The attending physician must fill out a form indicating which permit is applicable. 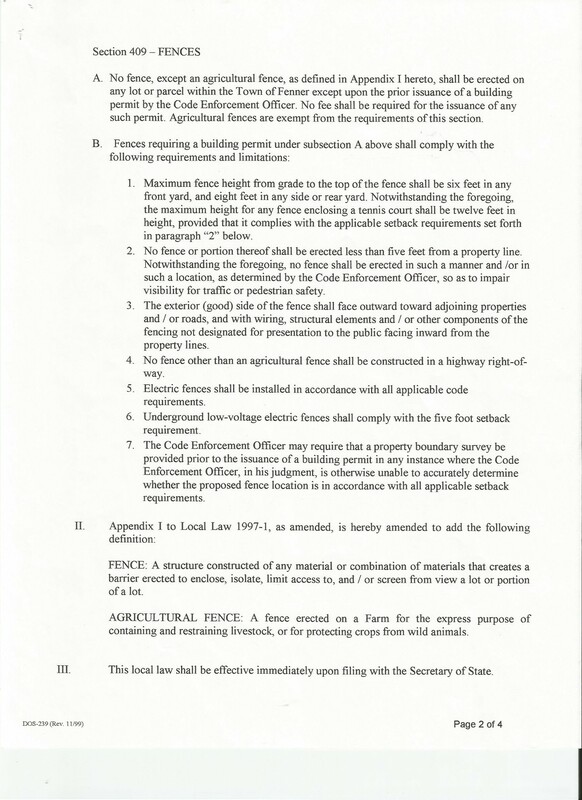 Temporary permits are good for six months and permanent permits for five years. Buy Local! 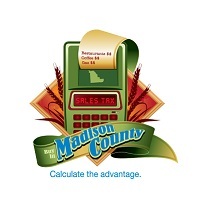 Find out about the advantages of purchasing in Madison County with the link below. 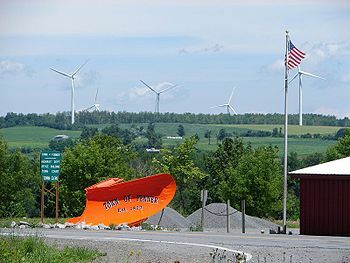 The breathtaking sights of Fenner, NY. Photographs by Rhea Wisniewski, Town of Fenner resident. The information contained in the Town of Fenner's website is to provide assistance in learning about the services provided by the Town of Fenner. For complete, accurate and timely information, please contact the appropriate department by phone, mail or email. Every effort has been made to insure that information posted to this website is correct at the time of posting. Content of this website, although checked for accuracy, is not warranted to be error-free.